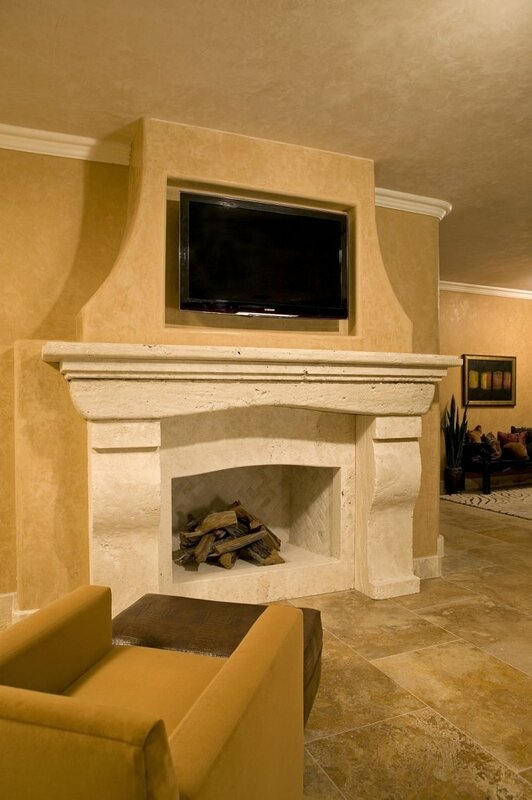 The centerpiece of any home design, a natural stone fireplace leaves stunning impressions. 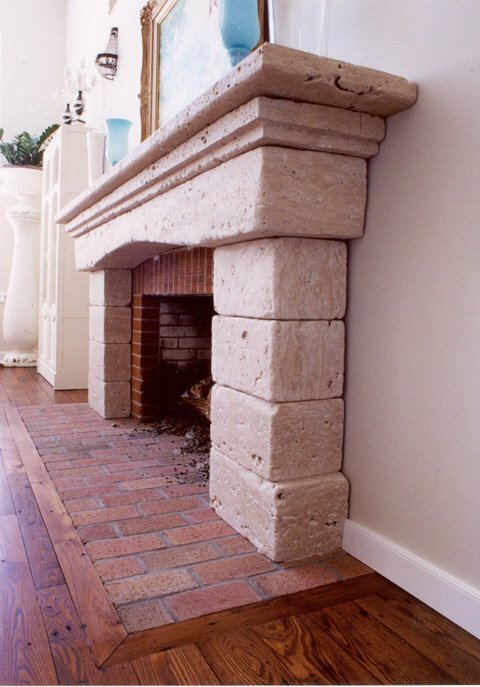 We own custom factories that can produce a mantle or surround to your specifications. Get inspired by these custom fireplace designs! 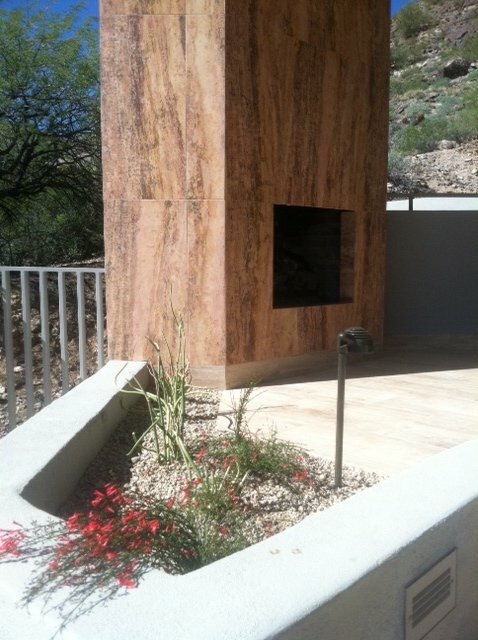 Custom fireplace for a Paradise Valley mansion by Durango Stone. 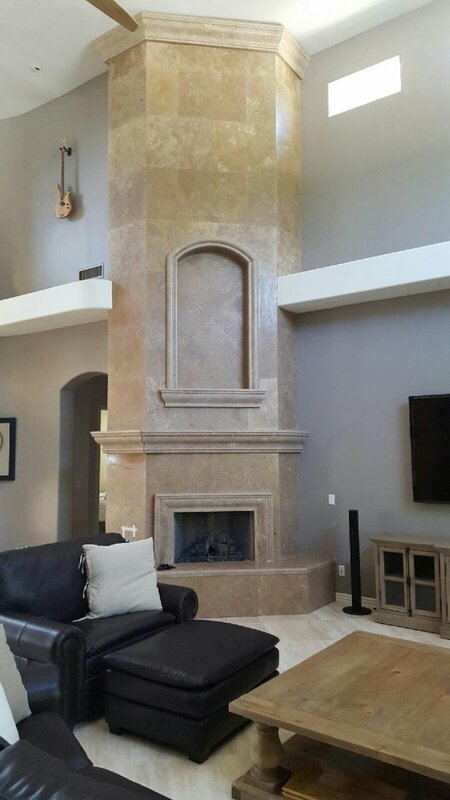 Double sided custom fireplace design featuring Authentic Durango Ancient Veracruz mantle and matching split-face wall tile. 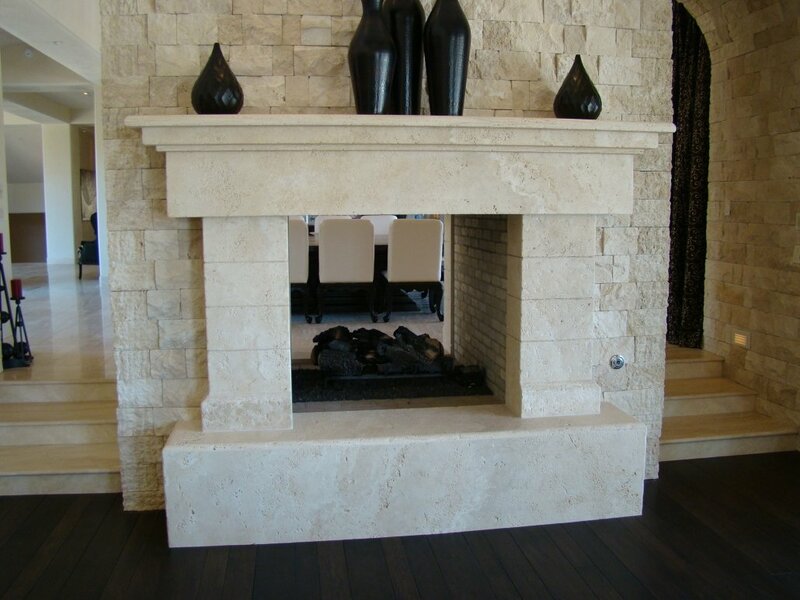 This custom carved fireplace surround features Durango Stone Noche. 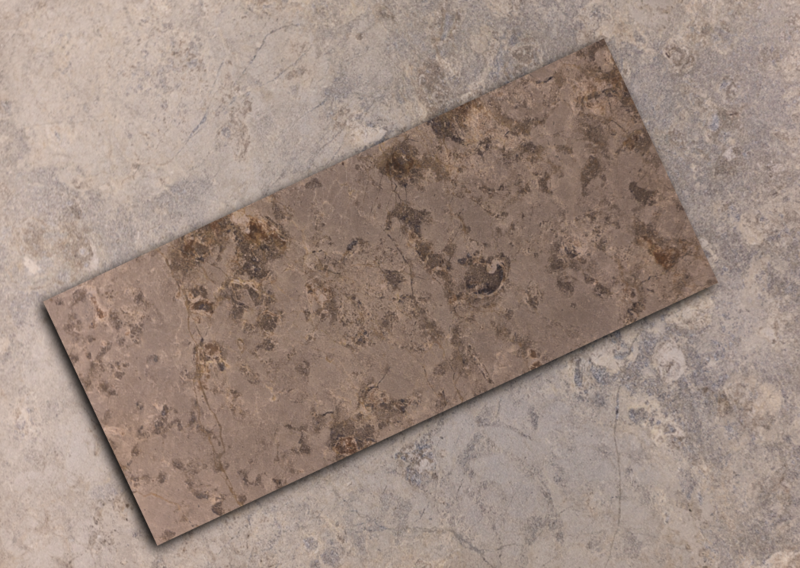 Old world design is timeless, with Durango Veracruz Tumbled, you will have details to make you proud. This backyard patio design features a modern fireplace using Durango Stone Autumn Vein-Cut planks. Cool grey tones of Durango Stone Perle Blanc for your warm fireplace.